Bali Denpasar City Tour, it is a private half day trip in Bali island to visit the most popular and the best Denpasar tourist attractions. Denpasar Town which is well known as Kota Denpasar is the capital city of Bali, Indonesia. The private half day Denpasar City sightseeing tour is the only half day tour offer that we have if you would like to explore the Bali capital city in a short day (5 - 6 hours). 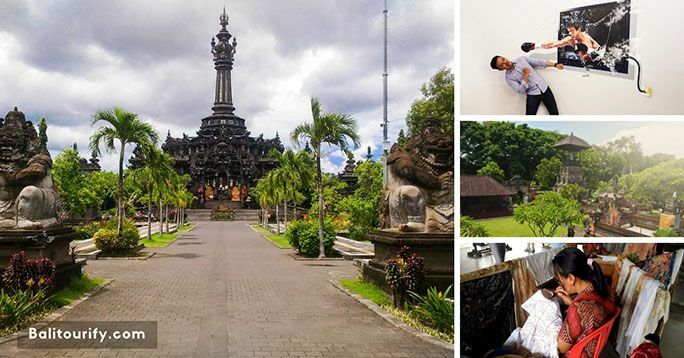 The half-day Denpasar city tour will be accompanied by our professional and friendly driver that is ready to take and drive you to experience the best places of interest in Denpasar Bali. Below is the schedule of the half-day Denpasar City Tour for 5 hours to 6 hours from Balitourify to discover the top tourist places in Denpasar Town. The itinerary of the half day Denpasar city tour is flexible and adjustable, you are able to modify the itinerary but still based on the time that has been provided and the distance of among the attractions. The first attraction to visit on a half day Denpasar city sightseeing tour itinerary is the Bali Museum, it is a museum that presents the human and also ethnographic relics in earlier times. Bali Museum is situated in Denpasar City, in the east area of The Puputan Badung field, accurately at the street called Jl. Mayor Wisnu. Several of the collections within this museum contains ethnographic items like tools and everyday living supplies, artworks, religion, written sentence structure and others that represent the existence and progression of Balinese tradition. Bali Museum is a museum that stands from the idea of W.F.J Kroon in 1910 that has been accompanied by German architects known as Kurt Grundler and Balinese architects called I Gusti Ketut Rai and I Gusti Ketut Gede Kandel. The Museum provides 4 foremost buildings with a wonderful garden set, every single one featuring diversified architectural shapes and showing insights into various aspects of Bali locals culture and history. You may find older farming equipment, coins, pieces of stuff of worship, swords (keris), sculptures, jewelry items along with various things. 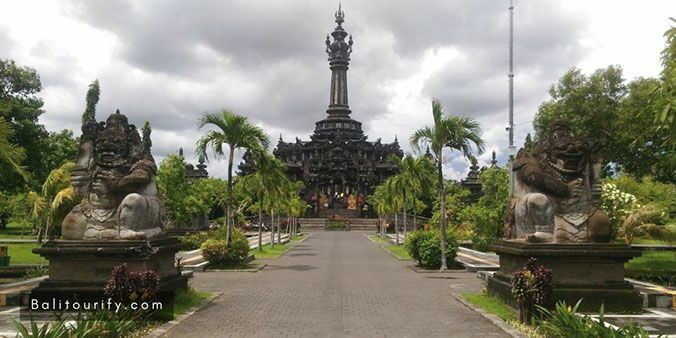 The next place to visit on the half day Denpasar City tour itinerary is the Bajra Sandhi Monument. It is a monument that is located in the front part of the office environment of the Governor of Bali Province at Niti Mandala Renon, in the center of The Puputan Renon field. Bajra Sandhi Monument was built-in 1987, set in the largest city of Bali and inaugurated on June 14, 2003, by the President of Indonesia, Megawati Soekarno Putri. Bajra Sandhi Monument was built to memorialize the energy of the struggles of the Balinese people and to sustain the Balinese traditions. The structure of the Bajra Sandhi Monument appears like a bell (in Balinese generally known as Bajra / Genta) which is widely used by Hindu Priest in chanting off Weda holy sentence (mantra) to carry out religious ceremonies. The following spot to visit on a half day Denpasar city tour activities is the 3D Museum & Upside Down (IAM BALI / Interactive Art Museum Bali) which is located at the ground floor of the Bajra Sandhi Monument Denpasar Bali. This place is the 3D background wall structure that allows you to take a photo like it's true. There exists an awesome collection of artworks, from classic Balinese, animals, and landscape to funny ones and prominent cartoons and superheroes. There are lots of tricky imagery, while some other positions are painted by Balinese creative designers. The last destination to visit on the half day Denpasar city tour program is Tohpati Village that is located around 10 minutes from Denpasar Town. Tohpati is very notable as the town center of handmade Balinese Batik with a variety of color and designs. Right here the visitors will be demonstrated the Batik manufacturing and hand weaving process. The specialties of Balinese Batik is present from the solid Javanese motifs; many of modern-day Batik refers the painting resources, such as Balinese culture, religious ceremonies, beautiful scenery, or mythological characters. Batik is one of the most wonderful wearable artwork and the way of the additional aspect of Balinese rich tradition. We will take you to the place where you can see the weaving station where batik fabric is made. They also provide a wide selection of batik fabrics such as bags, children's clothing, aprons, handkerchiefs, placemats, t-shirts, etc, where you can buy some to bring home if you are interested of the handmade clothing collection. The inclusions and exclusions of The Half Day Bali Denpasar City Tour. General information of the entrance fees and the opening hours of the attractions on the itinerary of The Half Day Bali Denpasar City Tour. The Pick-up time and location of The Half Day Bali Denpasar City Tour. We may adjust the pick up time according to the location of your hotel. Please contact us for pick-up in other places in Bali. Below are the common things to bring on The Half Day Bali Denpasar City Tour. We accept cash payment for The Half Day Bali Denpasar City Tour. You can pay directly to our driver on the same day of the tour. We will convert the price based on the daily exchange rates if you would like to pay in a different currency. You are free to cancel the booking of The Half Day Bali Denpasar City Tour. You must inform us in one day before the tour (24 hours earlier) for the cancellation. Below are the common questions about the half-day Denpasar City Sightseeing Tour. Please contact us if you would like to ask any other questions about this half-day Denpasar tour. What's included in the half-day Denpasar City tour? It includes an air-conditioned vehicle and fuel, a driver who speaks English, parking fees, and toll fee. What is NOT included in the half-day Denpasar City tour? It does NOT include lunch, entrance fees for visiting tourist attractions, personal expenses. Is the price listed in the half-day Denpasar City Tour for per person or per vehicle? The price listed in the Denpasar City Tour - Half Day Bali City Sightseeing Tour is per vehicle (NOT per person), our vehicle capacity is maximum of 6 persons. If you book the half day Denpasar City tour for 1 person or maybe 6 persons then the price would be the same (IDR 400,000). 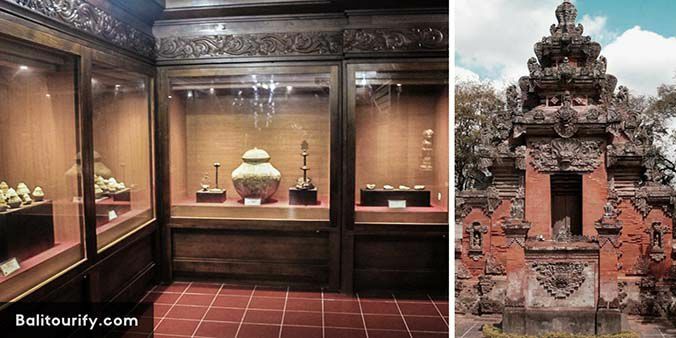 How much the entrance fee to visit the Bali Museum in Denpasar? The entrance fee of Bali Museum in Denpasar is IDR 50,000 /person (valid for 2018 - 2019, it may change without any notice). How much the entrance fee to visit Bajra Sandhi Monument? The entrance fee of Bajra Sandhi Monument in Denpasar is IDR 50,000 /person (valid for 2018 - 2019, it may change without any notice). 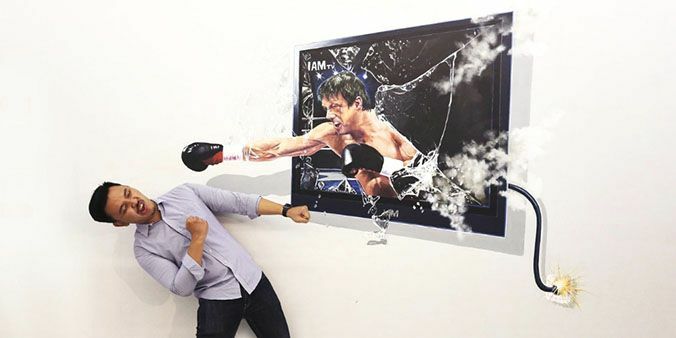 How much is the entrance fee to visit the 3D Museum (IAM BALI)? The entrance fee to visit 3D Museum (IAM BALI) is IDR 120,000 /person and IDR 15,000 for children (valid for 2018 - 2019, it may change without any prior notice). And also please bring the pair of socks with you because it's not allowed to visit the 3D museum with shoes. How do I book for the Denpasar City Tour - Half Day Bali City Sightseeing Tours? You can easily fill your details in the Book Now tab below to book the Denpasar City Tour - Half Day Bali City Sightseeing Tours. You can also send us an email or at this page to book this tour, all tours that are available on our website have the ID, make sure to mention the ID when you book a day trip from us (The ID for Denpasar City Tour is DCT-02). How do I pay for the half day Denpasar City tour? We accept cash at the moment, you can pay directly to our driver who comes along with you on this Denpasar City Trip. How do I cancel the booking of this Denpasar City Tour - Half Day Bali City Sightseeing Tours? You are free to cancel the booking of this Denpasar City Tour - Half Day Bali City Sightseeing Tours with no cost, but you must notify us about the cancellation at least one day in advance by sending us an email or calling to our contact number.